Working with movers can be a little intimidating if you've never done so before. You may (understandably) feel uncomfortable having strangers in your home handling all your belongings, opening all your drawers, and rifling through everything you own. What’s more, they work quickly (at least they should) which means your home will swiftly transform from a place you know and love to a maze of cardboard boxes littered with bits of torn packing paper and empty tape rolls, the sight of which can be disconcerting. Rest assured that everything will work out well. We have moved 16 times, and we have only ever had minimal damage to our belongings. As a military family, we know hundreds of people who have collectively moved thousands of times. Not all have been as fortunate as us. That said, the vast majority of movers are very professional and respectful. It is in their interest to be so. 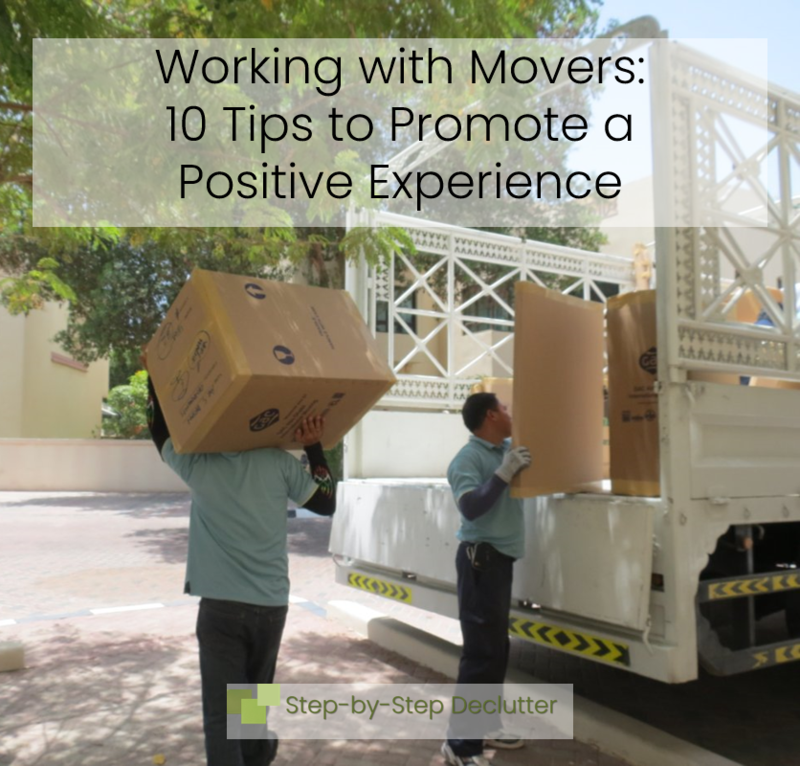 To ensure a worry free move day, consider the following tips learned through experience when working with movers. When working with movers, plan to be at their disposal all day. A responsible adult needs to be present at all times to answer questions, keep an eye on the proceedings, and sign the paperwork at the end of the day. Unless you have obtained a power of attorney for someone you trust implicitly, the signature must be yours. Once you get to your new location, working with movers will take on new meaning as they will literally put you to work - marking the inventory. I highly recommend you have a second adult or responsible teenager present to help you. One person will be required to remain near the truck to mark items on the inventory as they are removed. It is not uncommon for three or four movers to be calling out box numbers in near simultaneity, so the person assigned this task must be attentive and meticulous. Any item not checked off on the inventory once the truck is empty has to be located. That can mean searching for some time for box #242 which could be anywhere among the multitude of piles of boxes now cluttering your new home. Murphy's Law being what it is, the missing box will most likely be at the bottom of a pile with the numbered side of the box facing a wall and several other piles of boxes in front of it, making it extremely difficult to locate. Avoid this scenario if possible by being very thorough when it comes to identifying and accounting for every item that comes off the truck. It is extremely helpful to have a second person, preferably the person who will be doing most of the unpacking, free to show movers where you would like things placed. That way, the person marking the inventory doesn't get distracted by a question and accidentally miss something which will have to be accounted for later. Your designated rover can expect to do a lot of running around as there will no doubt be multiple workers unloading at the same time and only one of you to direct them. I can guarantee you your boxes will not come off the truck in the order they are listed on the inventory. 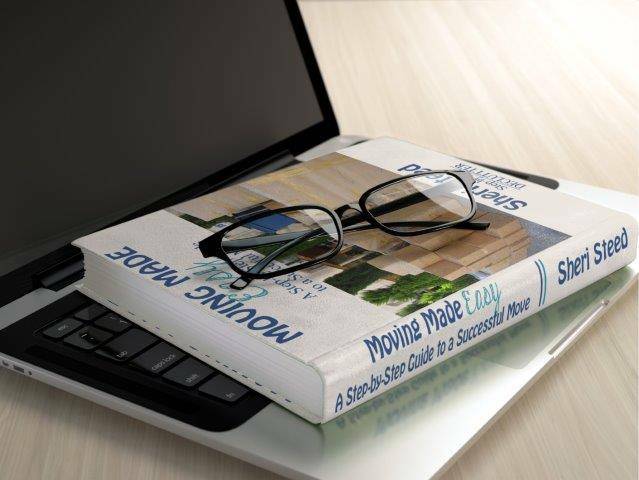 To prevent constant the need for flipping back and forth between pages as items are unloaded, grab a piece of cardboard and tape the pages of your inventory in order across the surface so that you can see all the pages at once. I learned this ingenious tip from the driver on one of our recent moves. This method not only saves time; it also reduces the likelihood that an item will be overlooked. ​P.S. That's my cute mom marking boxes off the inventory like a boss. Thanks, mom! Providing lunch is certainly not required when working with movers, but I highly recommend it for a couple of reasons. First of all, it will help to put you on good terms with them, and that is always a plus. In addition, feeding them on site saves the time involved in closing up the truck and reopening it when they return. It will also save your movers the headache of having to drive their cumbersome vehicle through crowded city streets in search of lunch. Lunch doesn't have to be fancy. You can order pizza, send someone out for fried chicken, or just set out sandwich fixings, fresh fruit and veggies, and some chips. The latter is a good way to use up condiments in your refrigerator and in my experience is very much appreciated. We have moved in some extreme weather conditions. We moved to Vermont in December and we left in February. In both cases there was snow on the ground and the temperature was well below freezing. We moved to both Israel and the United Arab Emirates at the peak of the summer heat and humidity. Working with movers often requires the door to your home to be open for most of the day. For this reason, if it’s very cold, you may want to consider a portable heater; if it’s hot consider one or more fans. Labeling rooms is very helpful when working with movers. Tape a paper sign to the door or wall of each room to assist your movers with labeling boxes (when moving out) and with placing items in the right rooms (when moving in). Make sure the movers know what you mean when you say ‘den’ or ‘sewing room’ or ‘play room’ by labeling these rooms appropriately. Choose labels that make sense to you, and explain them to your movers before they start unloading. Be as specific as possible. Instead of the generic designation of ‘child’s room’ , label your kids’ rooms according to gender and age. For instance, your oldest son’s room could be ‘Boy’s Room 1’ and so forth. This will be particularly effective if the boxes were labeled in this fashion to begin with. Take the time to thoroughly look over your inventory before you sign it. Your signature indicates your agreement with everything on that list, so if there is something you don’t agree with (such as the condition of a particular item), don’t sign it until you have clarified and achieved satisfaction. At the very least (in the case of discrepancies) your signature should be accompanied by a note (initialed by you) indicating your disagreement. Note: Working with movers means you can't just sit around and passively watch the proceedings. Ask to see the inventory as it's being produced. You want your inventory to be as detailed as possible in the event that something is lost, stolen, or damaged. Sometimes movers list boxes on the inventory by writing 1.5 CPU (which simply indicates the carton size). Better to have them write a brief description of the contents such as ‘china’, ‘hand tools’ or ‘DVDs x 36’ indicating the exact number of DVDs contained in the box. When it comes to electronics or other expensive or highly valued items, make sure they are listed accurately. In the case of electronics, both the box containing the item and the inventory should state the brand, the type of item, and the serial number. For instance: Sony DVD player #XXXXX. In the case of other valuable items, labels should be descriptive such as ‘antique sewing table’, ‘crystal’ or ‘Hummel figurine collection’. Be polite but firm when making requests or stating concerns. How Many Tables Does One Family Need? When we moved from Jordan, the inventory for our shipment was written in Arabic. This was a problem. The driver (who is also the crew chief and the one responsible for the inventory) hastily ‘translated’ the inventory into English when he was finished with it. His English, while decent, was limited. Virtually everything with four legs that wasn't a chair was listed as a table. We had about 20 tables on our inventory but there was a disturbing lack of dressers, night stands, and other case goods. Be sure your inventory is an accurate reflection of your shipment. Once your experience of working with movers is complete, be sure to provide them with feedback. If you are happy with the service you receive, let the movers on site know and pass your praise along to their superiors in the form of a letter, email, or phone call of appreciation to the carrier. Of course, you should also report any dissatisfaction. When you provide feedback (whether positive or negative) you help other customers who come after you to have a positive experience. For tips on getting ready for the movers' arrival, click on the image below. Don’t let working with movers intimidate you. Implement these tips to ensure a worry-free move experience. If you found these tips helpful, please share them on social media. I hope you will leave me a comment below as well. I would love to hear about your experience working with movers.